Pastel shades of a garden assortment. 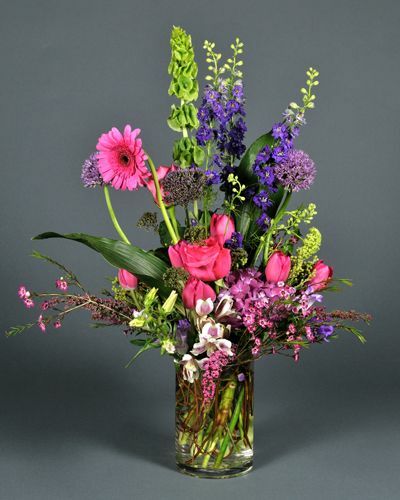 Larkspur, Tulips, Gerbera Daisies, Bells of Ireland & Wax Flower. As shown.